In early 2011, I got a phone call from a friend, "My husband is working on this awesome new app, you should get it!" That app was Instagram, and boy am I ever glad I signed on. Though I had been shooting lifestyle photography for a few years, there was something about the simplicity and ease of pulling out my then iPhone 3. 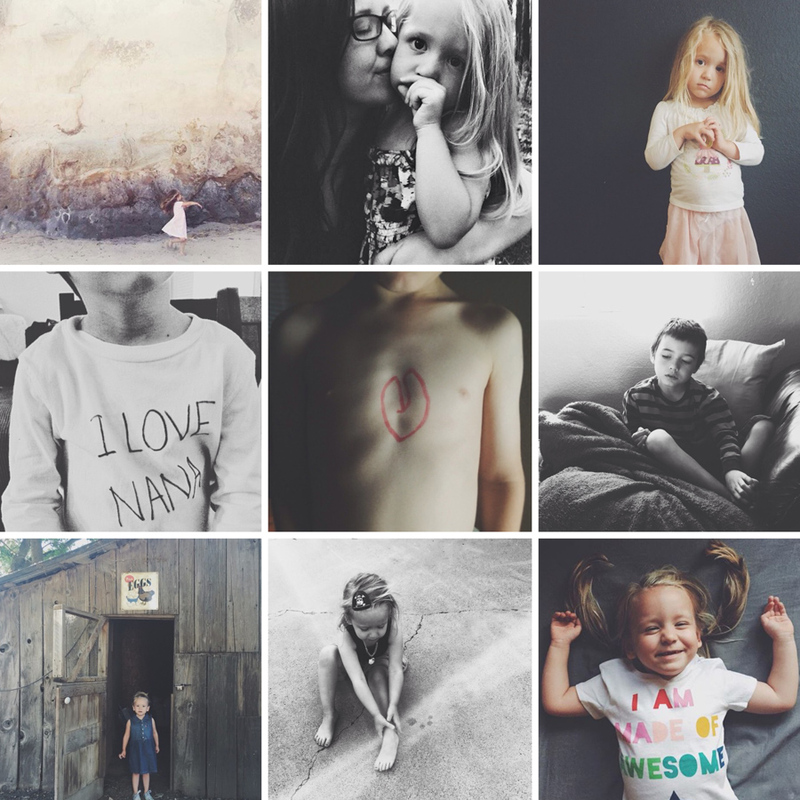 I could take it to the store, the doctor's office, and mommy meet-ups - capturing my kids and our day to day lives. Years later our phone's camera capabilities have blown up and oh am I so glad they have. Always in my purse or pocket, I can pull out my now upgraded iPhone and in a few moments, document life as I see it. Such a time happened over the summer while on vacation, the kids and I were exploring an old abandoned tunnel now used as a walking trail. 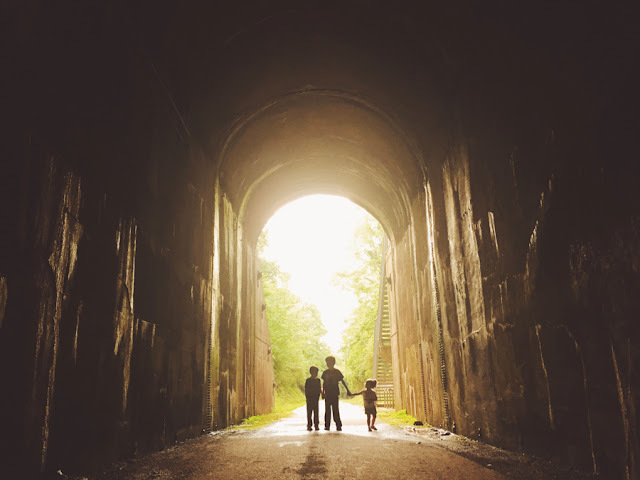 As we approached the tunnel my heart stopped, I knew exactly what the image would look like and akin to a giddy child at Christmas, I placed my kids at the far end and stepped back. The light was pouring through behind them, perfectly silhouetting their little frames. I could have taken this a few ways, but knowing I wanted their bodies to appear dark with the sun shining in behind, so I tapped my screen on the brightest part of the image (just behind my kids) to lower the exposure around them (if I had tapped on the darker part, say in one of the corners, it would have brought the exposure up). Don't be afraid to tap around on your screen and see how the light changes! As per usual I took about 10 too many, but I prefer it that way, then I can go back later and decide which I like the best! I brought the image first into VSCO Cam and added the F5 preset, just as is, and saved. Following that, I opened PicTapGo and applied a lowered opacity of Randsburg. Finished off with some Warm It Up to bring back the sunlight that my camera phone lost. Capturing everyday activities brings me such joy, but the ability to turn those activities into forms of art is one of my favorite things. Just a few iPhone tricks, some easy-to-use apps, and you have print worthy photos of your children. You can see more of Angie's beautiful work on her blog and on her instagram feed.